Born in El Paso, Texas, Justice O’Connor grew up on her family’s isolated Arizona cattle ranch, learning to shoot and ride before she was eight. She attended Stanford Law School, and subsequently served as Arizona assistant attorney general. She was later appointed to a vacancy in the Arizona Senate, elected Superior Court judge, and appointed to the Arizona Court of Appeals. 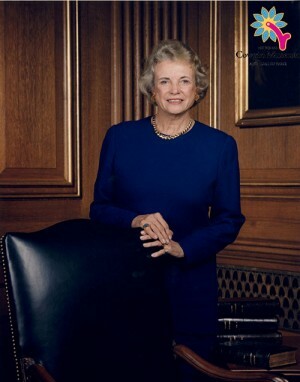 In 1981, President Reagan nominated her as the 102nd justice and the first female member of the U.S. Supreme Court.